You will be provided quality right content and photos to support Master Level Students to create your own Singing Bowls Training workshop. 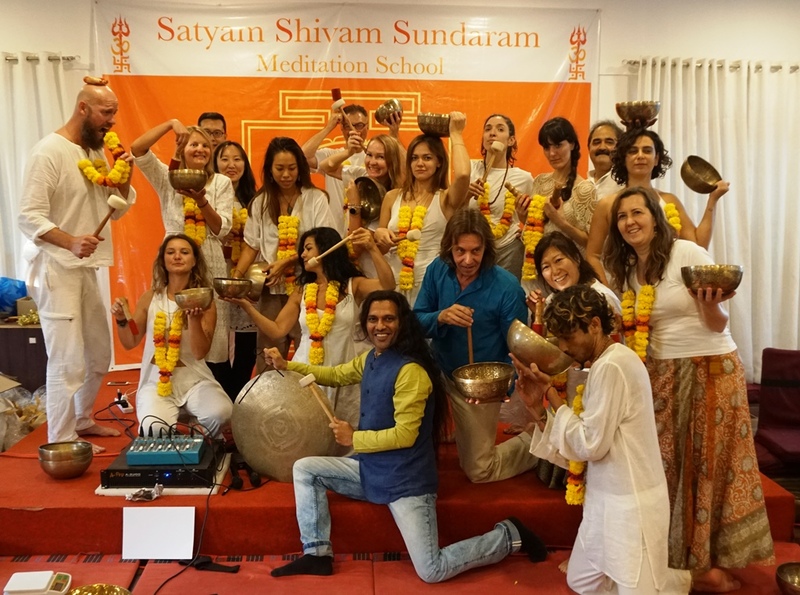 You will receive a Satyam Shivam Sundaram Singing Bowls Training Manual which can be used by in your future certification workshops that you host. – Only one training per year – Limited Seats. A premier opportunity to be part of an emerging and popular trend in the world. Shiva Girish, Founder of Satyam Shivam Sundaram Meditation & Sound Healing School, believes the world needs more Sound Healers. Tibetan Sound Bowl Therapy Healing is growing rapidly in Asia, Europe, UK and in the USA. There is an increasing demand from Sound Healers in the world and a lack of certified Sound Healing Therapists. This program is aimed at allowing advanced and experienced Sound Healers to certify others as Sound Bowl Therapists to meet the level of demand. The increasing interest for Sound Healers comes from the rising consumer interest and awareness of alternative medicine and wellness programs. Sound Healing incorporates a wider range of a target market, even more so than yoga, as virtually anyone from any age and physical ability can participate. In recent years, many scientific studies have been released that confirm singing bowls as an effective tool and alternative wellness technique that contributes to increased overall well-being, reduced stress and helps to calm the mind. Recently, sound bath sessions have become popular for relaxation and de-stressing with more yoga and/or meditation teachers, healers & medical therapist’s starting to combine singing bowls into their classes, workshops and retreats to diversify their healing offerings, grow and scale their businesses and broaden their target market. 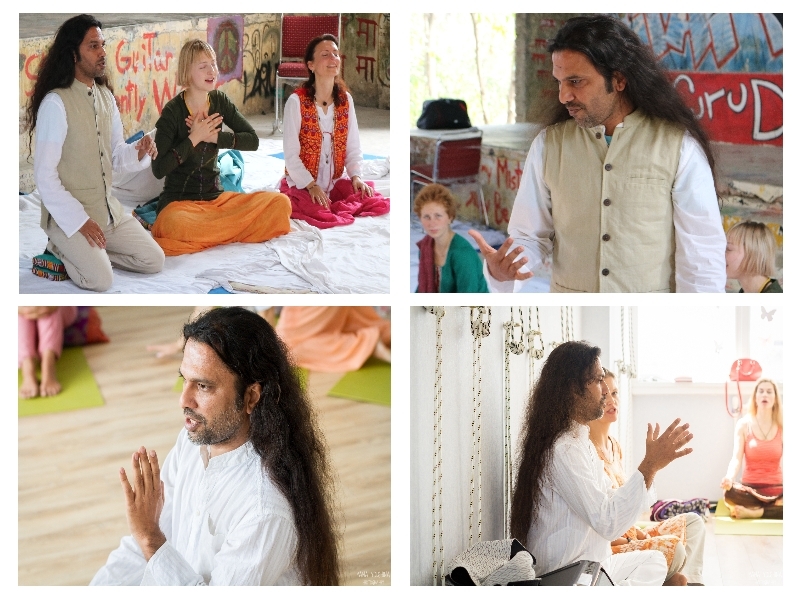 Shiva Girish, Founder of Satyam Shivam Sundaram Meditation & Sound Healing School, will lead the Teachers Teacher Training along with other world-renowned sound healers. 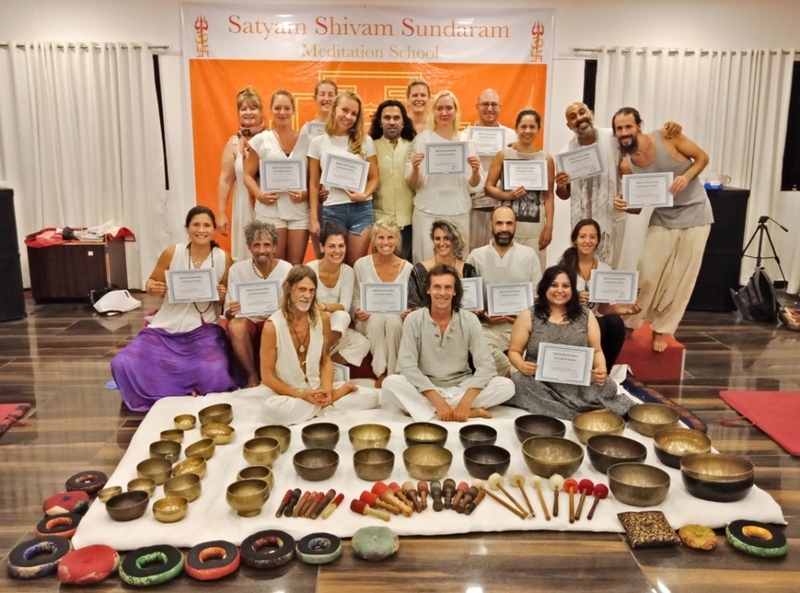 Shiva Girish, has certified hundreds of successful sound healers from around the world through 16 Trainings (and counting) that he’s conducted. 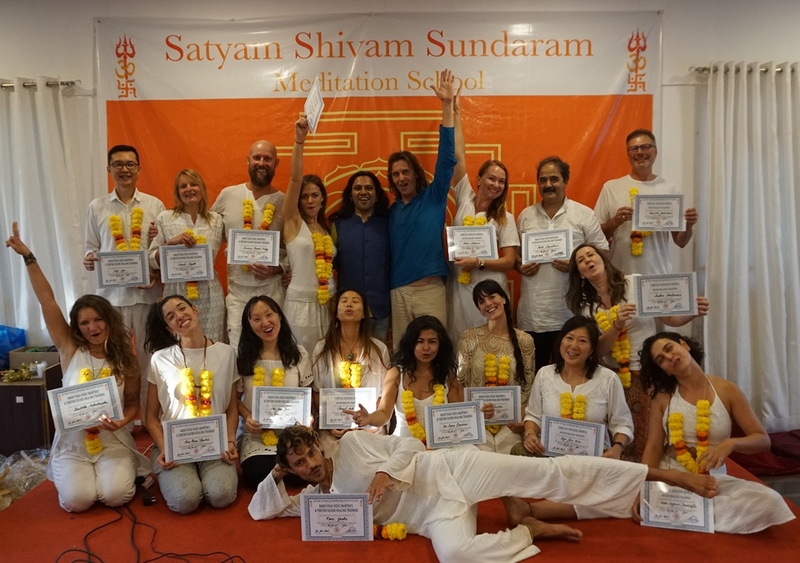 Students graduating from Satyam Shivam Sundaram Meditation & Sound Healing School show a very high success rate post graduation, with nearly 99% hosting workshops following their training around the world and contribute to deepening their connections in the energy healing and wellness space. Training others to become Tibetan Singing Bowls Healers. Sharing the power of sound healing with people who wish to share sound healing with others. Taking your career as an Advanced Master Sound Healing Therapist to the next level. Contributing to changing the world through sound healing by making an even bigger and more positive impact in the world by teaching and certifying others as Sound Healing Therapists. Scaling your existing business and growing your income to live a life that you are passionate about. Entering into the untapped market of an emerging and fast growing business of Sound Bowl Therapy as a Teachers teacher trainer. Must be a Sound Bowl Therapist, Yoga and/or Meditation Teacher, Alternative Therapist, Professional Massage Therapist, Chiropractor, and/or someone with healing ability. 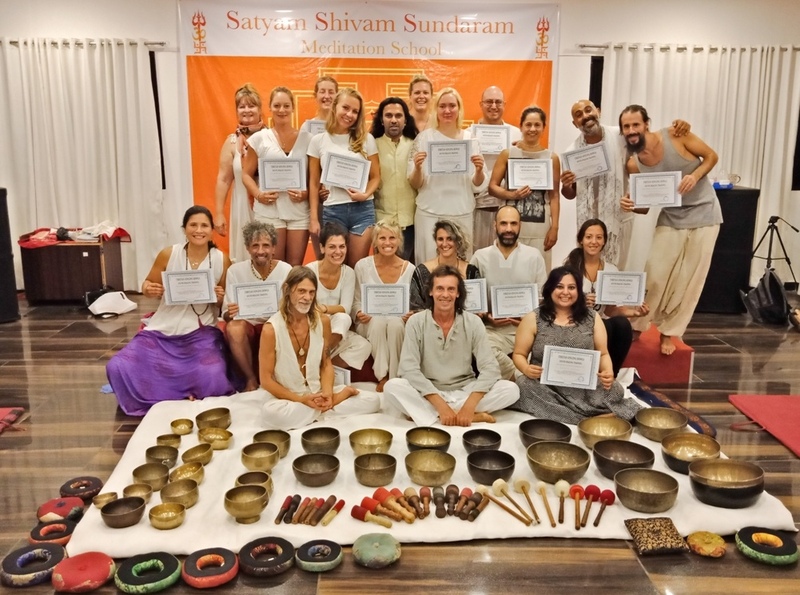 Possess a certification in Sound Bowl Therapy from Satyam Shivam Sundaram Meditation or any other Sound Healing School with 3 months of working experience in Sound Bowl Therapy. If certification is not from our school, a certification from another reputable school in Sound Bowl Therapy is acceptable but a minimum of 3 months of work experience in Sound Bowl Therapy is required. Professional healers who are passionate and dedicated to Sound Bowl Healing. *Please note, beginners and those not currently certified as Sound Bowl Therapists are not allowed to join this training program. This Master Level Tibetan Singing Bowls Sound Healing Therapist Training is designed in such a way that Master Level Certified Singing Bowl Therapists, will learn how to train others to become Tibetan Singing Bowls Healers. Learn the art of leading, teaching and certifying others through a Tibetan Singing Bowls Sound Healing Training workshop. Deepen your knowledge of the goals, intentions, and objectives of what is achieved through Sound Healing Training. Learn to design and lead 3 – 4 day Sound Healing Training workshops. Learn the structure and length of Sound Healing sessions. Learn how to design a combined workshop with Yoga Asanas, Pranayama, Passive Meditation and Active Dynamic Meditation into Sound Healing Training. Learn how to balance theory, actual practice and closing time for Sound Healing Training. Learn and understand the difference between features and benefits of Sound Healing. Learn to understand common obstacles of Sound Healing workshops and how you can overcome them. Learn how to understand the core desires of the training group that will be part of your Sound Healing Training workshop. Learn how to lead sessions to open the heart chakra of the training group and to connect them to others by having a compassionate attitude, affection and unconditional love. Learn how to train others in the fundamentals of Tibetan Sound Healing, vibrational sound healing, types of bowls and the history of Tibetan Singing Bowls. Deepen your understanding, background and importance of Tibetan Singing Bowls in the field of sound healing therapy. Learn how to train others on how they can play the various types of Tibetan Singing Bowls and how the different types of bowls have unique benefits on the mind, body, and spirit. Learn how to train others on different techniques for giving sound vibration healing with the Tibetan Singing Bowls (example: striking, rubbing, rotating half moon, full moon, creating gaps between each sound, singing with singing bowls and using water with singing bowls). Learn how to train others to create sounds and vibration in each of the Seven Chakras using the Tibetan Singing Bowls. Learn how to train others so that they can learn how to give a Full Body Therapeutic Sound Bath Healing Session with just a few bowls and/or with all seven chakra Tibetan Singing Bowls. Learn how to train others so that they can learn how to give 2-hour sessions of sound and vibration healing, using various techniques such as body contact and sound baths. Learn how to train people in working with small and large groups to make the group relaxed and receptive through combining sound healing meditation techniques with the goal to lead a group Sound Healing Concert. Learn how to train others to combine mantra sound Meditations with Tibetan Singing Bowls to give deep therapeutic healing sessions. Learn how to train others on an energetic level to heal a specific body part and/or specific chakra. 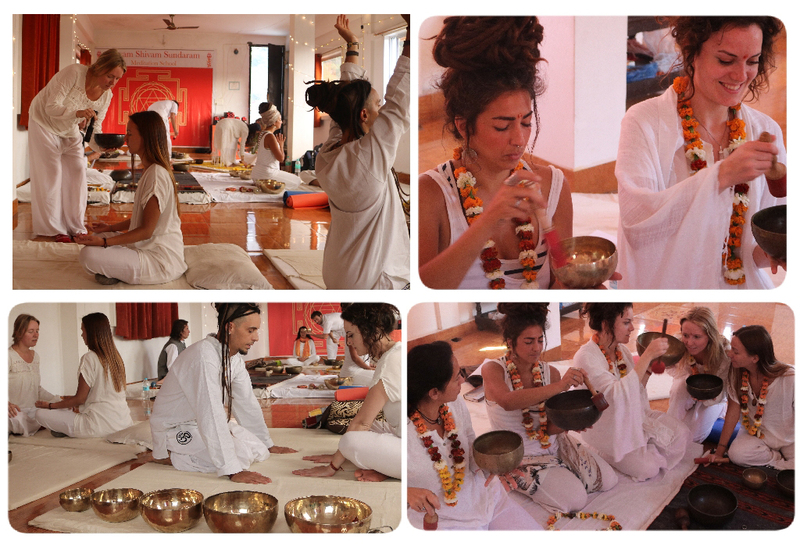 After completion of Master Level Tibetan Singing Bowls Training, Master Level Sound Healing Therapist can run Singing Bowls Training workshops and certify others as Sound Healers. Regular Residential Course Price For Double Occupancy In Deluxe A/C Room: €1450 Euros – Next 2 Early Birds Discount 150€ Euros. Regular Residential Course Price For Single Occupancy In Deluxe A/C Room: €1550 Euros – Next 2 Early Birds Discount 150€ Euros. Non-Residential Course Price: €1250 Euros – Next 2 Early Birds Discount 150€ Euros. Booking Confirmation Fee 500 Euros – Payment Option By Transferwise or Paypal – https://paypal.me/satyamshivamsundaram -Rest payment On arrival.